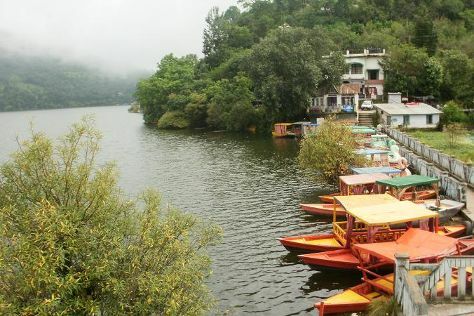 Bhimtal is a town and a nagar panchayat in Nainital district in the state of Uttarakhand, India, situated at an altitude of 1370 meters above sea level and is about 22 kilometers from Nainital. On the 4th (Sat), take in the spiritual surroundings of Ghorakhal Golu Devta Temple and then observe the fascinating underwater world at Bhimtal Island Aquarium. To find ratings, traveler tips, maps, and other tourist information, use the Bhimtal trip itinerary planning website . Haldwani to Bhimtal is an approximately 1.5-hour car ride. Finish your sightseeing early on the 5th (Sun) so you can drive to Mukteshwar. On the 6th (Mon), take in the spiritual surroundings of Mukteshwar Mahadev Temple, make a trip to Mukteshwar Dham, explore the striking landscape at Chauli Ki Jali, then explore and take pictures at Indian Veterinary Research Institute, and finally admire the landmark architecture of Mukteshwar Inspection Bungalow. 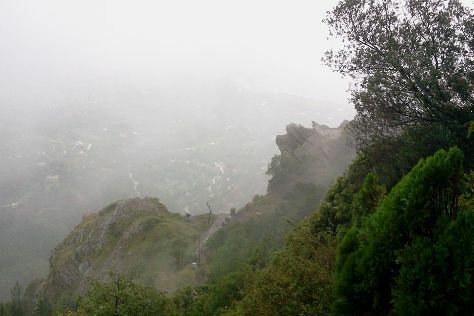 To find more things to do, traveler tips, and other tourist information, read our Mukteshwar road trip planning site . You can drive from Bhimtal to Mukteshwar in 1.5 hours. Wrap up your sightseeing on the 6th (Mon) early enough to drive to Kausani. The small hill station of Kausani offers such stunning views of the nearby Himalayas, Mahatma Gandhi once called it the "Switzerland of India." Although Kausani tourism sector provides a vital source of income for the locals, the remote outpost never feels too crowded with foreigners. Start off your visit on the 7th (Tue): admire all the interesting features of Lakshmi Ashram, see the sky in a new way at Stargate Observatory, steep yourself in history at Anasakti Ashram, then admire the natural beauty at Kausani Tea Estate, and finally contemplate in the serene atmosphere at Baijnath Temple. On your second day here, admire the masterpieces at Sumitranandan pant gallery, then take in the spiritual surroundings of Rudrahari Mahadev Temple, and then take in the dramatic scenery at Rudradhari Falls & Caves. To find where to stay, more things to do, ratings, and other tourist information, read our Kausani tour planner. Traveling by car from Mukteshwar to Kausani takes 4 hours. Wrap up your sightseeing by early afternoon on the 8th (Wed) to allow time for the car ride back home.